EXCLUSIVE When the limo arrives, he’ll be ready to roll in style! 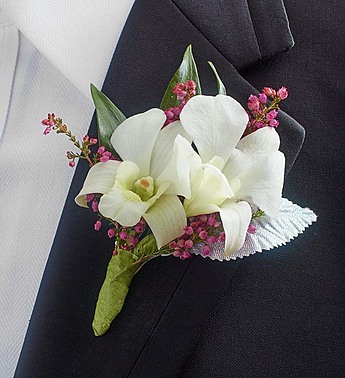 This truly original boutonniere is designed by hand with white Dendrobium orchids, pink calcynia and Italian ruscus. Our local florists put a lot of time and detail into each arrangement to make sure prom night is unforgettable!